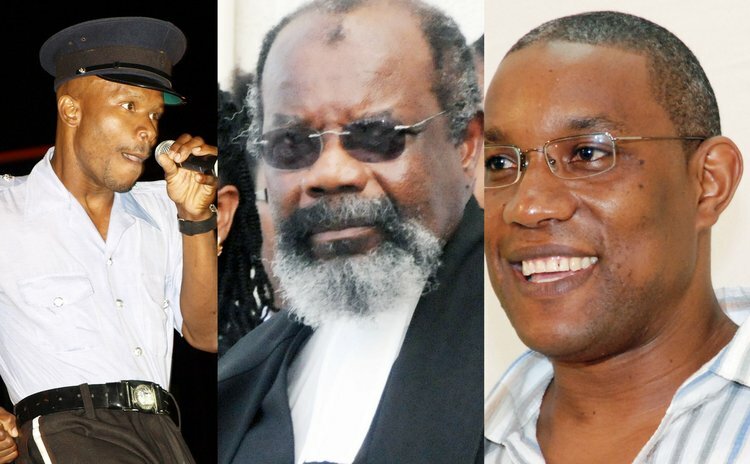 Abel "Checko" Jno Baptiste, a police officer and calypsonian has been slapped with a $130,000 penalty by High Court Judge Errol Thomas after he failed to file a defence in a defamatory suit filed by Dr. Philbert Aaron, the ALBA coordinator and Public Relations Officer of the ruling Dominica Labour Party. Aaron claimed that a song penned and sung by Checko in 2011 entitled "Bug Her" defamed him and on January 16, 2013, Dr. Aaron, through his lawyer Noelise Knight-Didier of the Harris and Harris law firm, filed a claim against Checko, claiming that the defendant libelled and slandered him in the song. In the statement of claim, they requested damages for libel and slander, for aggravated and exemplary damages, an injunction restraining the defendant from further publishing the offending words and or any other words defamatory of Aaron and cost. However, Checko filed an acknowledgement of service on February 13, 2013, but he filed no defence within the prescribed time for filing. And on March 6, 2013 Aaron requested an entry of judgment in default and that was obtained on March 13, 2013. A subsequent application to set aside the judgment in default was denied. In handing down his decision, Justice Errol Thomas awarded $75,000 for general damages, $50,000 for aggravated damages and $5,000 for exemplary damages "on account of the remix of the song because of his desire to win the Road March title." In his ruling, the Judge stated that Checko's conduct before and after he received the demand letter from the Claimant's attorney made matters worse. "After the defendant received the letter from the claimant's attorney, rather than sending an apology, he did a new version of the song (a remix) which now contained the words, "you write so I right…now the public know you bugging for true. "Thus, rather than offering an apology, the defendant made bad matters worse by, in effect, ridiculing the letter sent to him. The remix in the mind of the court gives rise to the reasonable inference that the defendant was motivated by personal malice, spite and ill will. This is evident especially by the words, "now the public know you bugging for true," the Judge wrote. According to Justice Thomas what has not been highlighted is that the defendant offered an apology-not after he received the said letter, but in his witness statement filed on November 25, 2013 for the purposes of assessment of damages." The Judge labelled Checko's remix of the song, after he was written to, as "motivated by personal malice, spite and ill will." Checko's late apology, he stated, made matters worse. "To say the least, such an apology goes against the historically accepted method of offering an apology. It does more harm than good, as it is woefully late, not humble, improper, indirect and meaningless after the Calypso semi-final and final shows plus after the song has been played on the road for carnival with new lyrics. The award of aggravated damages is $50,000." Justice Thomas explained that, one of the circumstances in which exemplary damages may be awarded is where the defendant aims to make a profit out of his conduct in the circumstances. "The clear evidence is that one of the reasons for the new version of his song is that with the up tempo the defendant wanted to win the prize of $5,000 for the carnival Road March.